A Q&A by Daniel J. Konick, M.D. Q: Listening to music can make you feel good. What else is there to know? 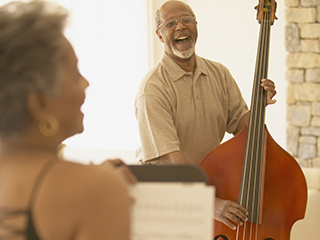 A: For the first time, a study has demonstrated that live music can produce beneficial physical effects in listeners ─ it reduces the level of the hormone that causes stress. Q: How was this discovered? A: Investigators from the Centre for Performance Science in London used volunteers attending concerts featuring the music of composer Eric Whitacre. Over the course of two concerts, the researchers took saliva samples from the participants before the performance and then during intermission. Laboratory testing found significant reductions in the hormone cortisol. Cortisol is called the “stress hormone.” When the body is under duress, cortisol spikes. It prepares the fight-or-flight reaction by raising sugar levels in the blood. These activities are designed to keep you safe and ready for action. However, if cortisol levels remain high for long periods, the resulting stress can be physically dangerous. Q: Why is this research important? A: Ongoing high levels of stress can lead to serious health issues, such as high blood pressure, heart disease, obesity and diabetes ─ not to mention making you feel bad. The research found that live music reduces cortisol levels, so it follows that live music can reduce stress and contribute to relaxation and a feeling of well-being. Q: What can we take away from this study? A: Go to a concert. Enjoy the music and the health benefits of relaxation. Just one thing: if you’re going to hear loud music, make sure you wear ear protection. Your ears are important too. 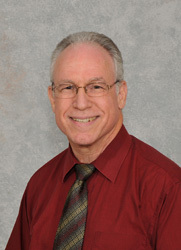 Dr. Daniel J. Konick is an MPCP partner and is certified by the American Board of Internal Medicine. He sees patients in the Queenstown office. He is also part of a musical family: he plays piano and clarinet, his wife plays violin, his older son teaches music and voice and plays piano and violin, and his younger son is studying for his Masters in Music Composition and plays multiple percussion instruments, including the marimba and hammered dulcimer. By Daniel Lamphier, M.D., Thomas Walsh, M.D. Engage in moderate exercise for at least 30 minutes, five times a week.